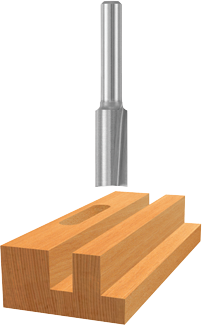 High speed steel bits can be easily sharpened to a very fine edge for smooth, precise cuts. HSS bits work best with softwoods and light plastics. Double flute allows for a better finish.